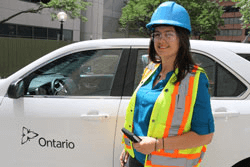 The Law in Ontario requires that employers and supervisors “take every precaution reasonable in the circumstances” to protect workers under their employ. Taking “every precaution reasonable” is also understood as Technical Due Diligence. What does taking “every precaution reasonable” mean? These questions can be answered in Ontario’s Legislative Technical Standards. An “Owner’s Engineer” is a professional engineering firm that understands the technical standardsand their application to your workplace. Also, an “Owner’s Engineer” guarantees that employers and supervisors achieve Technical Due Diligence. The “Owner’s Engineer”advocates for and protects the owner’s business interests. Please feel free to contact us at 416-447-9757 or at info@safeengineering.ca.